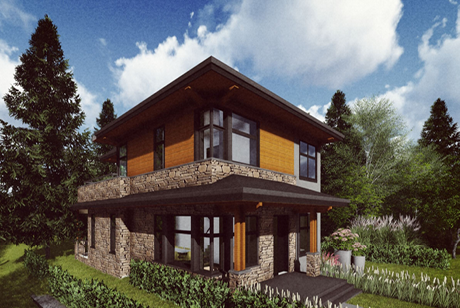 Designed and built by VictorEric Premium Homes, this custom single-family house is situated on a southeast corner site in the Westside of Vancouver, British Columbia. It combines great architectural style, Passive House indoor air quality, and high energy efficiency. Atop a basement level and two storeys, the roof deck captures the beautiful views of the Northshore mountains.